As you may know, young children are continuing to be exposed to liquid laundry packets in the U.S. In fact, according to the American Association of Poison Control Centers, in 2015 there were over 12,954 exposures to liquid laundry packets in children 5 and younger. To help raise awareness on these accidental exposures, The American Cleaning Institute is educating parents and caregivers through its KEY Pledge campaign on the importance of practicing laundry safety at home. The campaign shares tips on preventing these types of accidents from occurring, specifically by keeping laundry packets up high and out of reach and sight of young children, and kept in its original container. 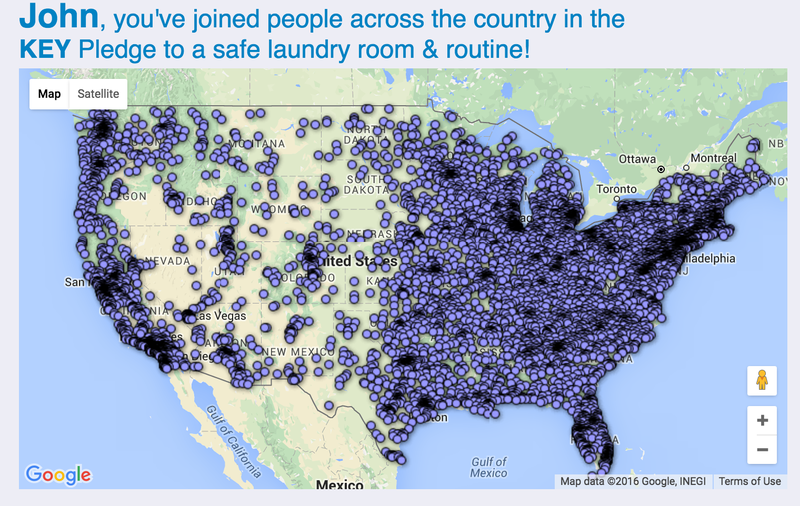 ACI urges consumers to take the Pledge to a safe laundry room and routine. And, by taking the Pledge you are automatically entered to win $2,500 for a laundry room makeover!